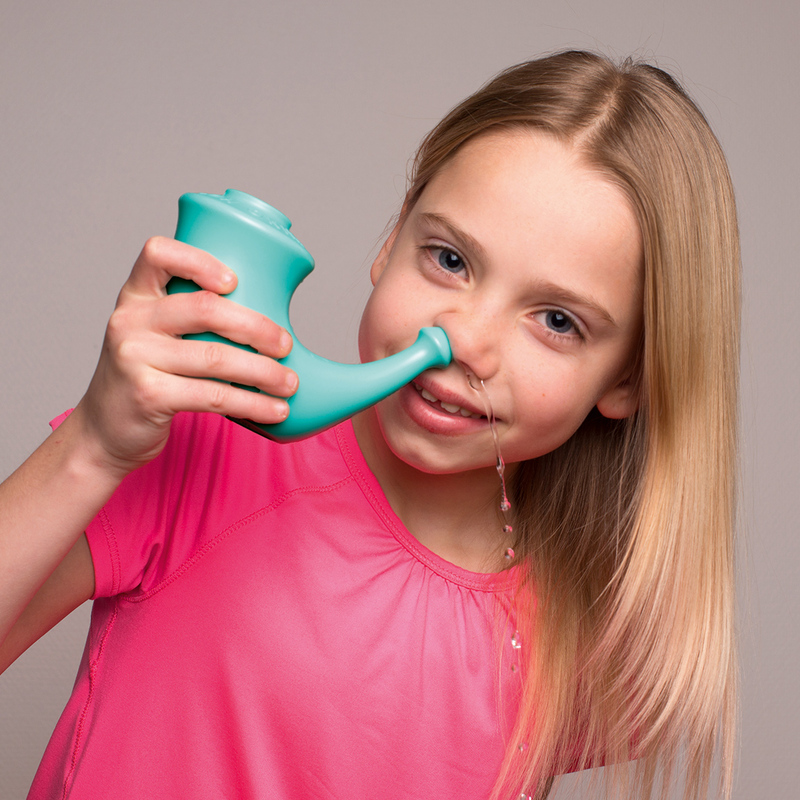 Our Junior version has been inspired by pediatric doctors at hospitals in France, Holland, and Sweden seeing the tremendous benefits for their patients using Rhino Horn. That is why they encouraged us to make a kids’ version of Rhino Horn. The isotonic salt water of body temperature is very pleasant, refreshing and mild in your nose. Soon you will love the fresh and clean feeling after using Rhino Horn Junior. The use of Rhino Horn is alleviating common nuisances of a clogged nose, e.g. from having a cold. Mucus is removed, and the swollenness of the mucous membranes is relaxed. Rhino Horn is likely to become a good friend for people who have asthma or respiratory allergy of pollen or dust. The use of Rhino Horn is an effective treatment of occasional sinusitis and even an outstanding assistant at chronic sinusitis. 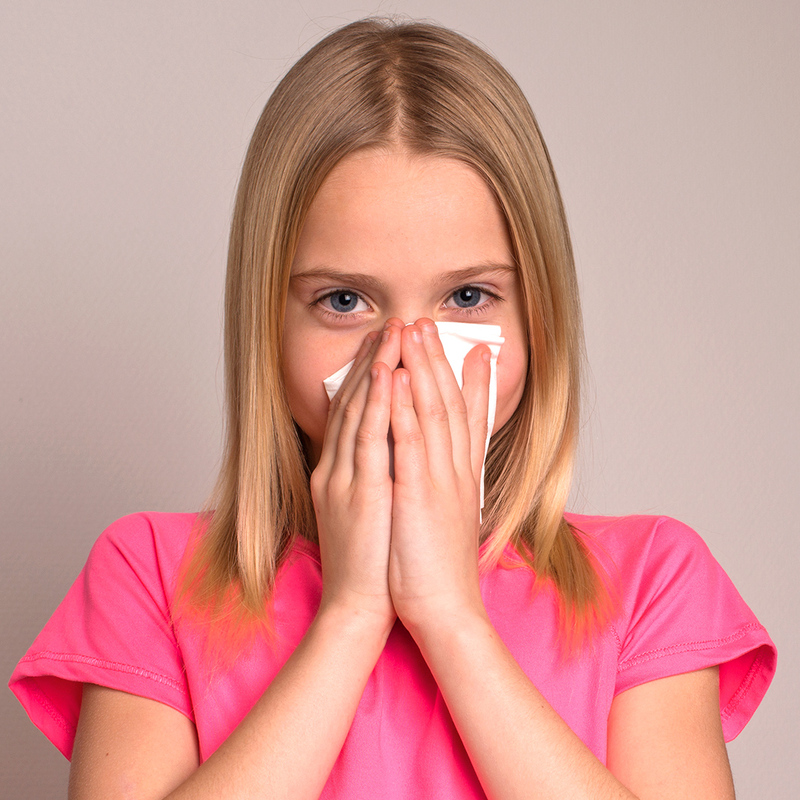 Nasal saline irrigation is mandatory after nasal surgery. Even severe respiratory illnesses like cystic fibrosis, COPD or ciliary dyskinesia are known to be much relieved by the use of Rhino Horn. Doctors report a reduction in the frequency of middle ear inflammation in children. A clear nasal passage for better breathing. Only gravity is active – no extra pressure. The result: open nose, free breathing; mucus, pollen, and dust removed. 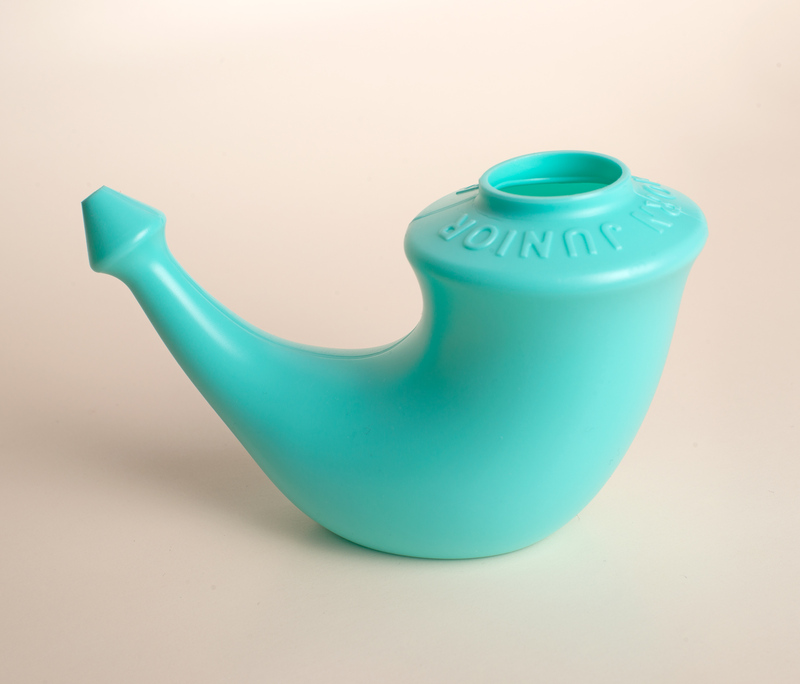 Nasal cleansing is part of the folk tradition around the world; many fishermen have used it; in yoga, it is known as neti. Nasal saline irrigation is also a recognized treatment in medical science; many ENT doctors recommend Rhino Horn™ for their patients. 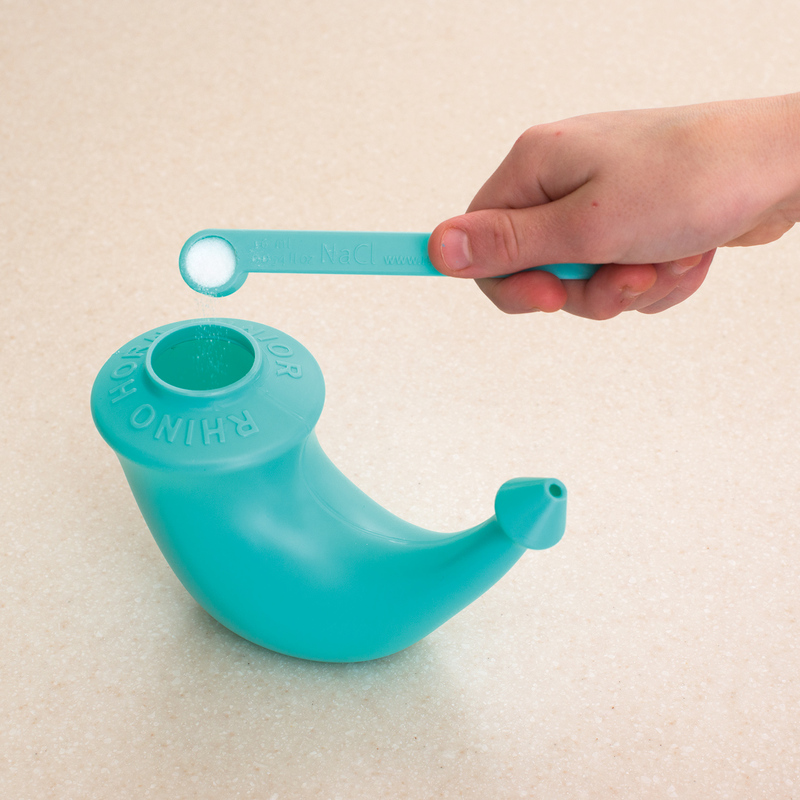 Use a Rhino spoon of your normal Table Salt (NaCl) – no expensive salt packages – no extra chemicals. Rhino Horn™ was introduced in 1998 and is now available in 23 European countries plus USA, Canada, Israel, Thailand, Hong Kong and Brazil. You may order Rhino Horn for USA and Canada at the web shop of Yoga of Energy Flow. Per Peo Olsen, the co-founder of Yogaprosess AS is the designer of Rhino Horn. 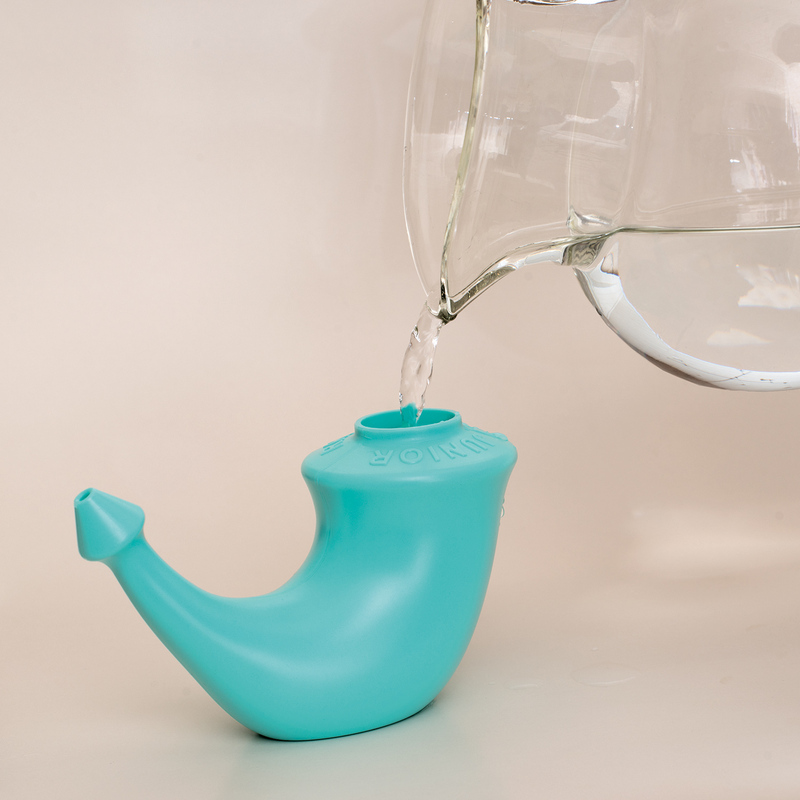 It is comfortable to hold in your hand, gentle and pleasant in your nose and designed to make a natural pressure from gravity to make the water run freely through your nose. Rhino Horn is CE marked as a Class I medical device according to EU Directive 93/42/EEC. The Norwegian Health Department has issued a Free Sales Certificate for both Rhino Horn and Rhino Horn Junior. A thorough user pamphlet for Rhino Horn Junior is included. See a video about Rhino Horn Junior here.